4 December 2009 Artists and arts organisations around the country, already opening their doors to disabled audiences and gallery visitors, are profiled in a practical guide on the arts and disability launched today by Creative New Zealand in partnership with Arts Access Aotearoa . Arts For All | NgÄ toi mo te katoa provides low-cost and long-term ways to increase access to the arts, market events to the disabled community and build new audiences. Among the organisations profiled are Auckland Art Gallery Toi o TÄmaki, Touch Compass Dance Trust, Fortune Theatre, Te Papa, City Gallery Wellington, Jolt Dance Company, The Court Theatre, Govett-Brewster Art Gallery and WOMAD. 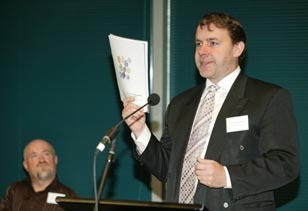 Stephen Wainwright, Chief Executive, Creative New Zealand, commended arts organisations already adopting accessible practices and said Arts For All has been published to encourage more artists, organisations and venues to improve their access and build new audiences and visitor numbers. Information sheets and check lists about accessibility requirements, marketing, ticketing, seating and exhibition design have been developed as online resources to complement the information in Arts For All. The two organisations, in partnership with local government, are planning workshops in the new year based on the book and the online resources. In the 2006 Statistics New Zealand survey, an estimated 660,300 people (17% of the New Zealand population) had experience of disability. Research conducted by Arts Access Aotearoa shows evidence of significant demand within the disabled community for accessible arts activities and events. 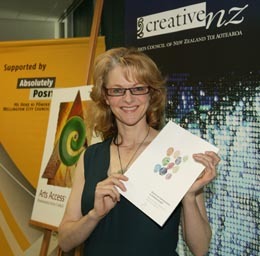 Jan Hinde, Executive Director, Arts Access Aotearoa, described Arts For All: NgÄ toi mo te katoa as a “ground-breaking” publication for New Zealand. There’s also a list of ten things to do over the next five years (e.g. Develop an accessibility policy and action plan). “Grappling with some of the medium to long-term requirements already outlined may feel daunting,” the book states. “But starting with a vision of what you want to achieve over the next one to five years and a comprehensive plan to get there will provide a framework. Original generation time 1.9399 seconds. Cache Loaded in: 0.0004 seconds.